These are the often beautiful children born of a union between an Elven and a Human parent. They will often share the qualities of both races and are either accepted or rejected depending on where they are raised and which qualities are predominant. Curiously they are often more valued in the Human world for their rare gifts, though in some corners their fey blood is a cause of fear. 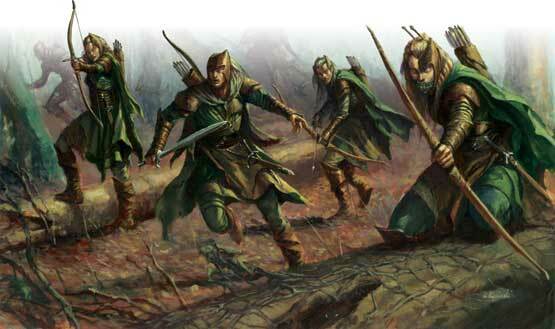 In Elven society as a rule they are tolerated and encouraged to act as emissaries between the Elves and Humans. They are truly children of two worlds, Aeres and the great white moon, Chandra or Mayragh as the Elves call her. Human – The character gains the Exceptional Attribute bonus as well as the non-weapon proficiency bonus but do not gain any resistance to sleep/charm spells, and has no attribute adjustments. They gain no bonus in the use of the long or short sword. They do however benefit from low-light vision, spot secret doors, and a +1 with bow use. 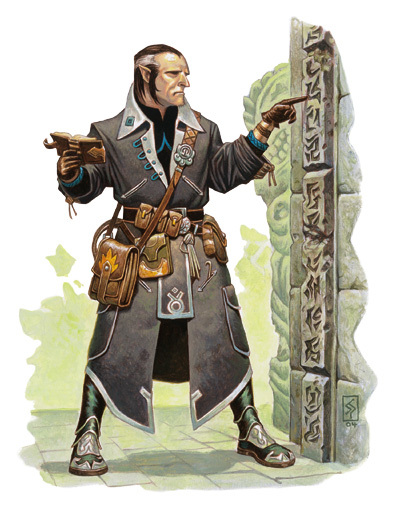 Elven – The character gains a 25% resistance to sleep/charm spells, gains a +1 to Dexterity and a –1 to Constitution. He gains Elven vision, low-light vision, ability to spot secret doors, and a bonus of +1 with the sword and bow. He is also susceptible to the heightened effects of undead.